Blueberry Cake | Rosetta Bakes! Mix and bake 1 recipe butter cake recipe (your favorite) or 1 boxed yellow cake and make according to package directions on box. Bake in 3 layers. Cool completely. 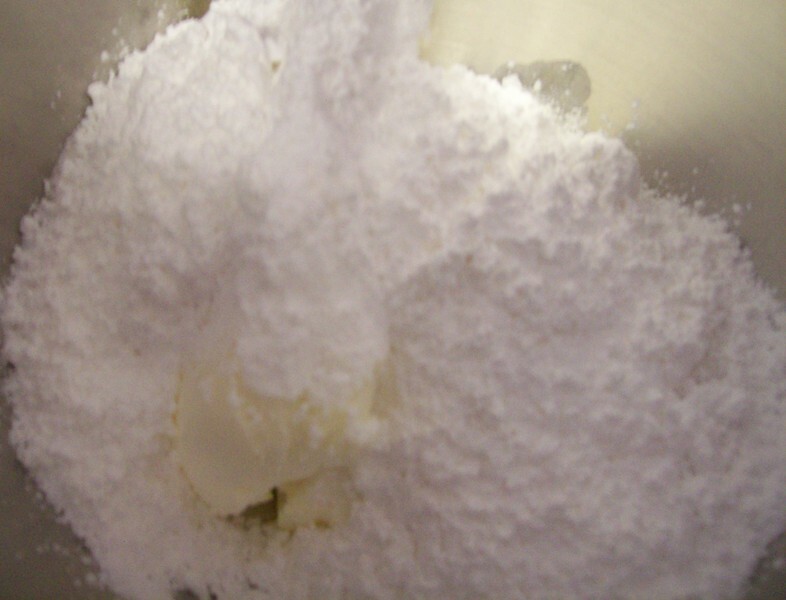 Mix all icing ingredients together and spread between each layer of cooled cake. Spread on top also. 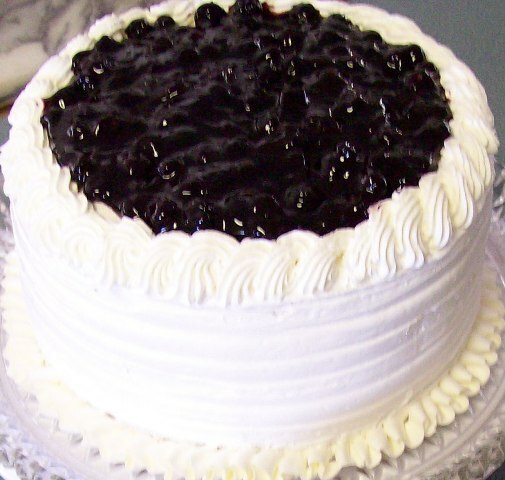 When you ice the layers, make sure you ice each layer before putting the blueberries on. You can make a ridge or ring around each layer, this helps hold the blueberries inside the layers. You can use a piping bag for this, or cut the corner of a zip lock bag, filling the bag with icing and then make a ring by squeezing out the icing all around the edge in a circle. 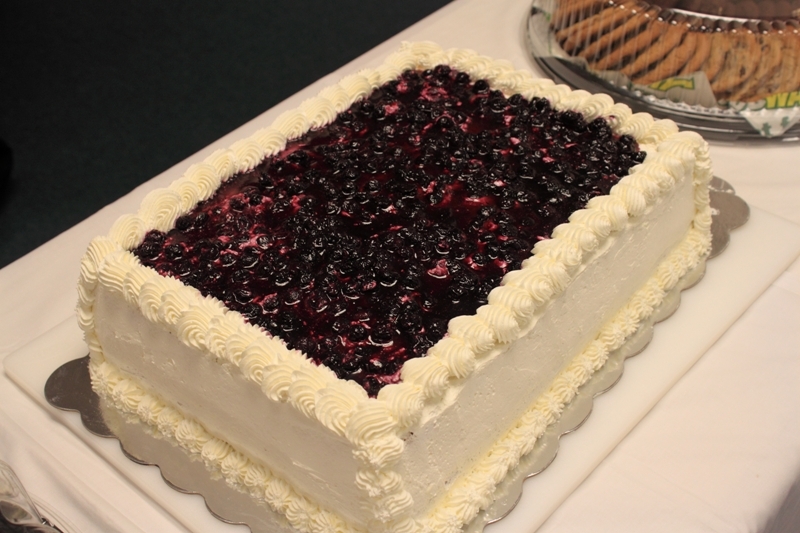 Once the cake has been iced spoon the blueberries on top each section until you get to the top layer. Ice the entire cake and decorate if you want to get a little fancy (not required). Spoon blueberries on top last. Cook over medium heat until it thickens, cool completely. I always make the blueberry topping before I bake my cake. By the time I’m done with the cake and icing, the blueberry filling is cool enough to put on cake. 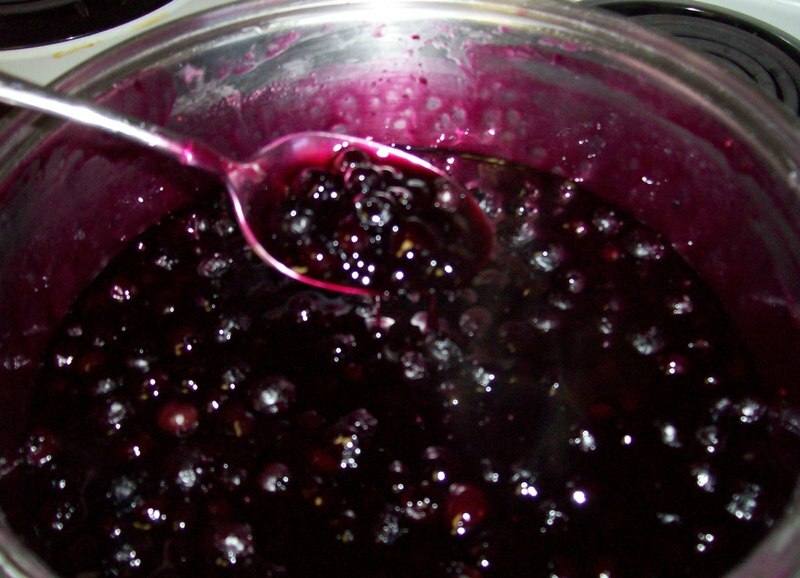 * If you do not want to make the topping, you can use a couple cans of blueberry pie filling. * This cake is just a good as a sheet cake. You can buy the boxed cake, and canned pie filling if you like and then it will be even easier to make! Add sugar, cornstarch and water to blueberries. Cook until thick and bubbly, cool completely. Add powdered sugar and granulated sugar and mix well. do not add if partially frozen, it will make the icing too thin. Cool Whip needs to be completely thawed. 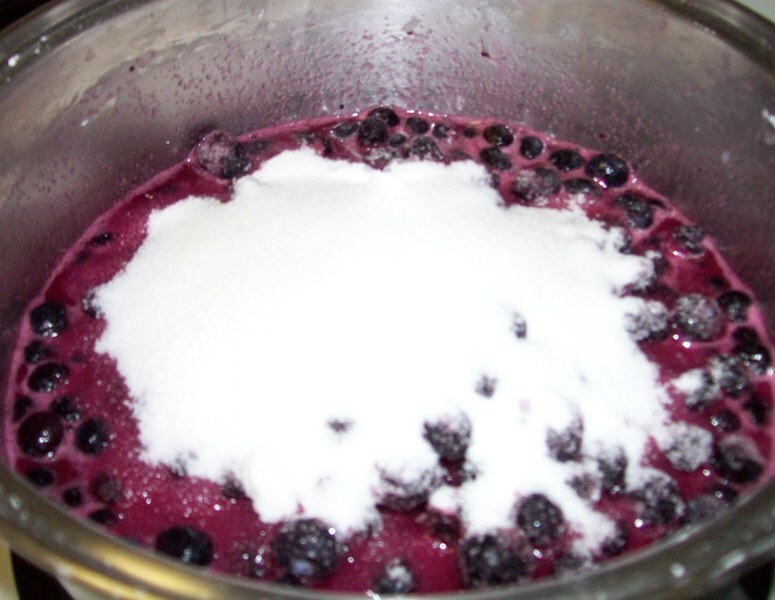 Mix Well until blended and creamy.
. Spoon blueberries in center of ring. 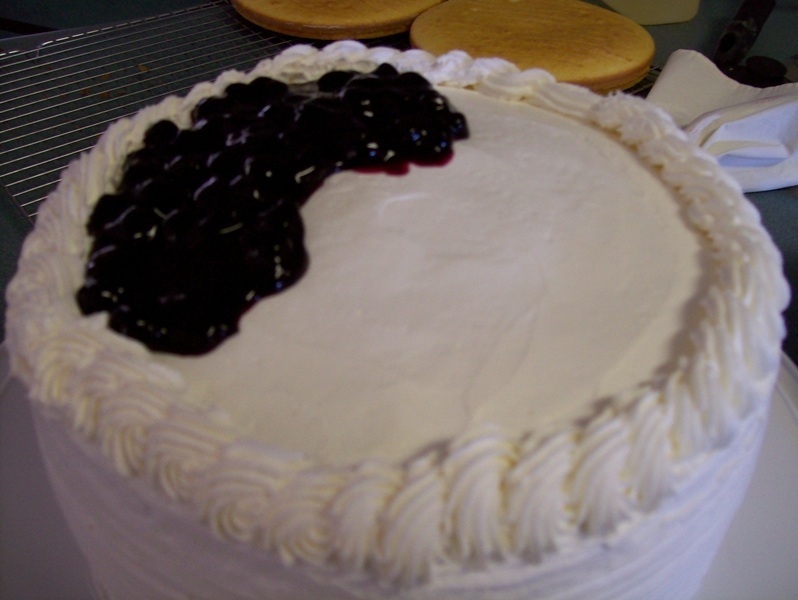 Put second cake layer on top and ice, making a ridge around second layer to hold blueberries in. Spoon blueberries on top second layer. Place third cake layer on top first two layers. 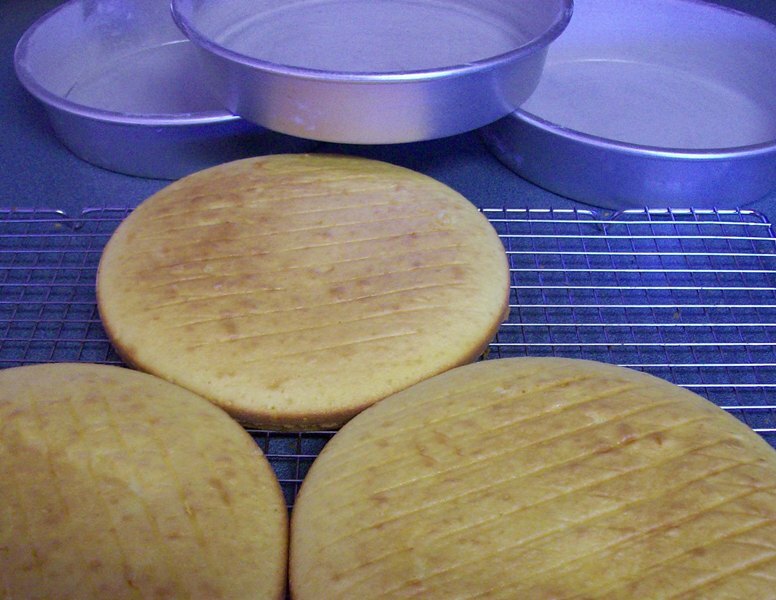 warm water and then slide all around sides and top of cake. Decorate cake if desired and don’t forget the last ridge on top. You can make the ridge pretty, or just a regular ring around the edge. Spoon blueberries on top layer. 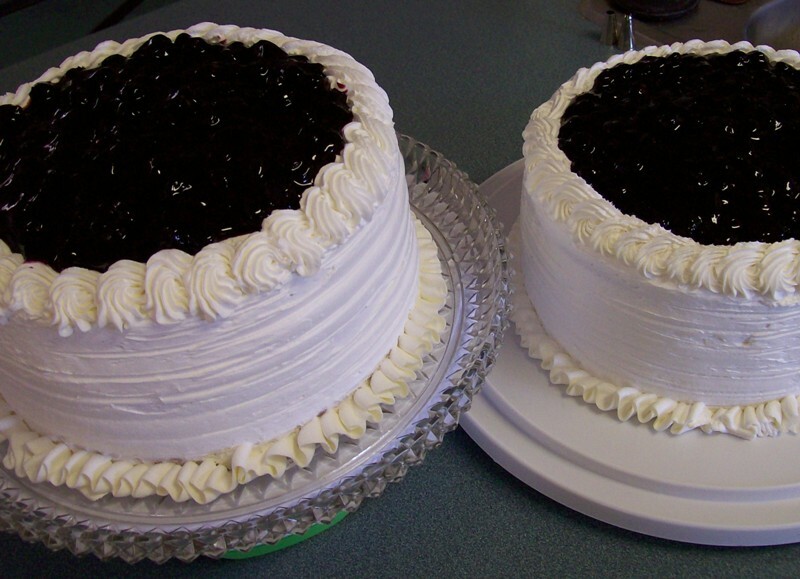 Two Blueberry Cakes, side by side. 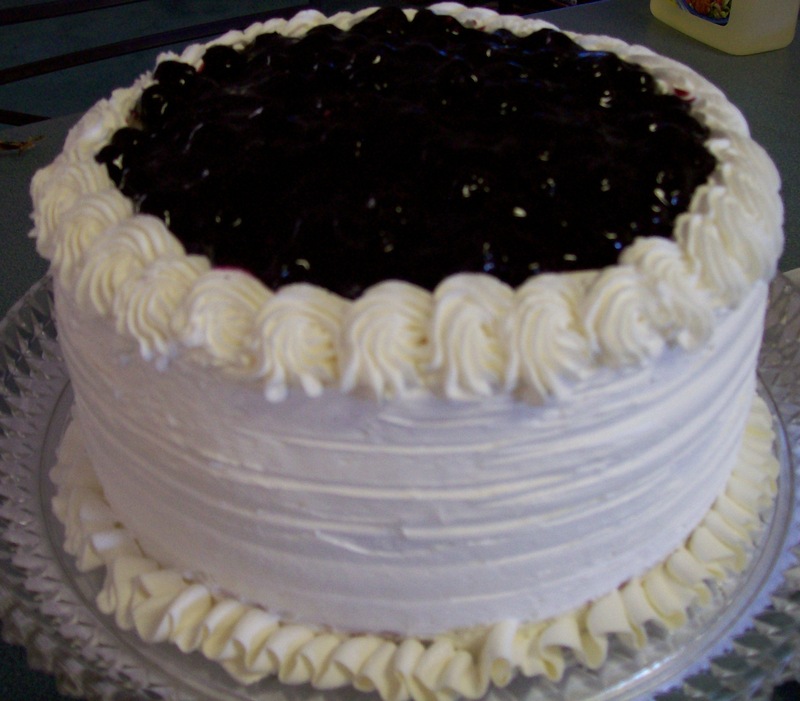 Blueberry Cake, showing a slice with the three layers after it’s sliced. The cake is very white, but the lighting at work was dark. Thank you so much! This is one of my favorite cake. You can make the cake scratch, or use a boxed cake (I use Duncan Hines French Vanilla) if you don’t have time to do scratch. I love the icing! Glad you found your recipe! 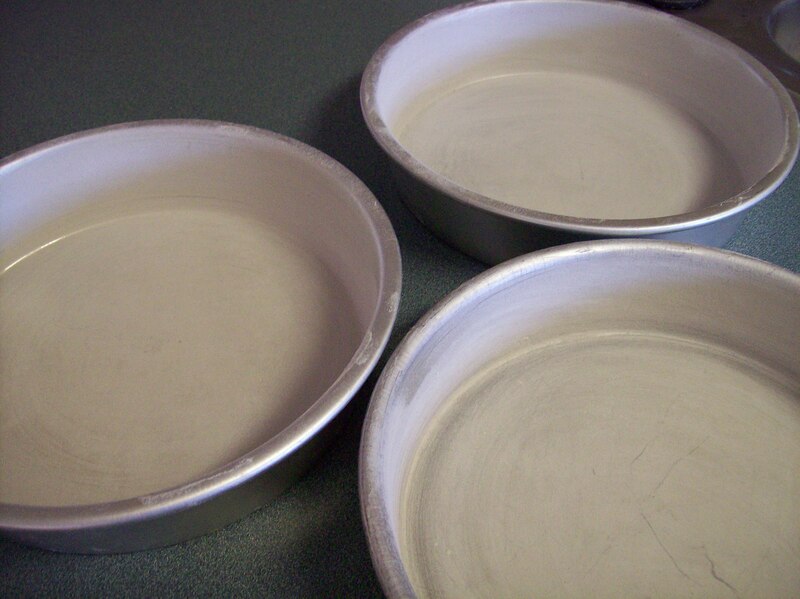 So beautifully made…I can just SEE the love you put into your baking! Thank you, I do love baking! 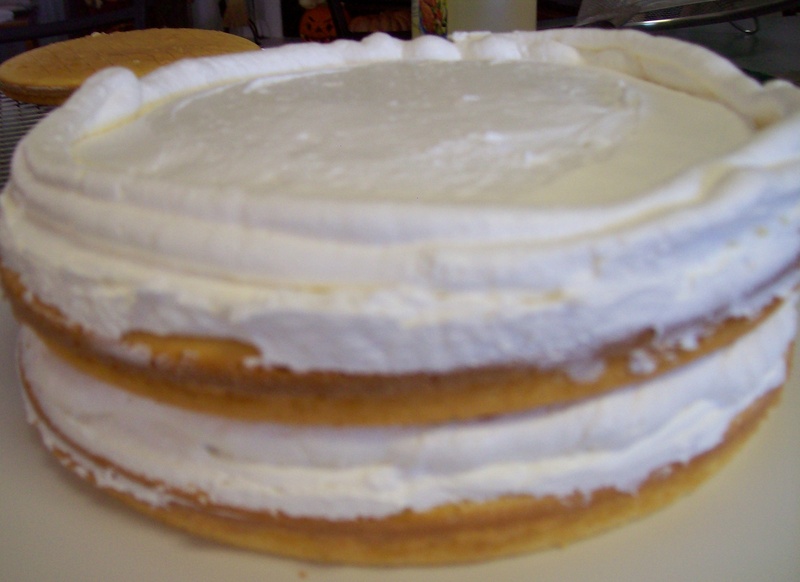 Do you have to refrigerate this cake since icing was made with the cool whip? There is no butter in the frosting. 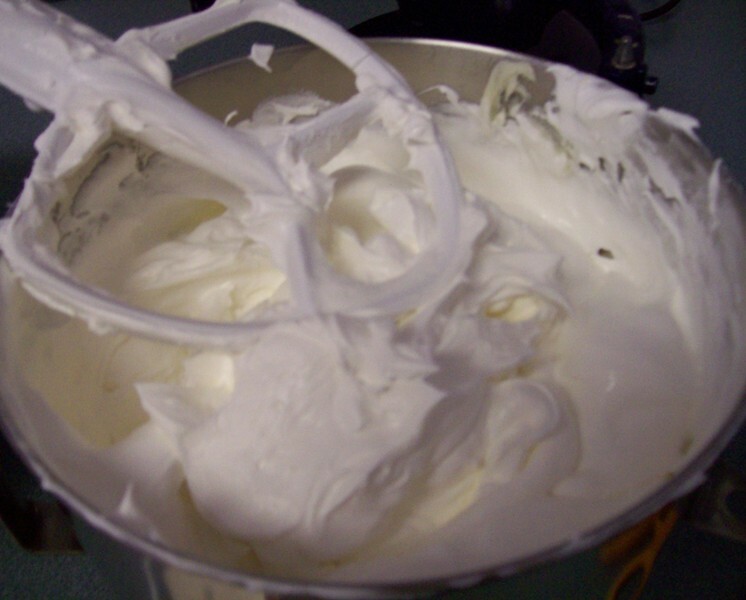 Make sure if you make this frosting, to make sure the cool whip is thawed. It will not turn out if it’s still frozen. 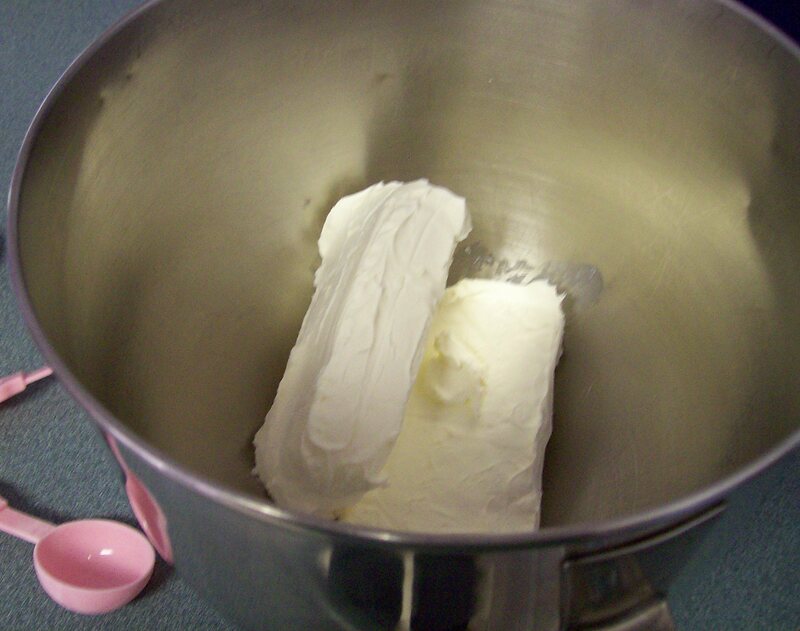 Directions on images say to “Cream butter and cream cheese together”. I’m guessing this was a mistake since the recipe at top does not call for butter. May want to edit that if possible. It threw me off as well.